Women folk of business families like Godrej, Lupin, Cipla, Emami, Piramal, Sun Pharma and Wockhardt, among many others, are not just part of their respective businesses for namesake but are actively engaged in decision-making riding on their core competence. There are no two opinions in India Inc that women deserve a place in the boardrooms. This is one reason why the private sector is seeing more women at the helm. However, over the last decade, the idea of gender equality in business life has oscillated widely from merely nodding to the concept of equal opportunities and promotions based on merit to actual participation in decision-making. It is here that Indian family-run businesses are paving the way for change. Women folk of business families like Godrej, Lupin, Cipla, Emami, Piramal, Sun Pharma and Wockhardt, among many others, are not just part of their respective businesses for namesake but are actively engaged in decision-making riding on their core competence. Adi Godrej, Chairman of the Godrej Group, is one business leader who doesn't discount the productiveness of women in business. Quoting from a study by the Boston Consulting Group, he says, "If all of women's energies can be used in India, it will add one percentage point to the GDP growth rate and add a lot of value both in terms of economic and social development." His son Pirojsha Godrej and daughters - Tanya Dubash and Nisaba Godrej - are playing key roles in the business. "I have always considered them equal and anyone from the family who wanted to join the business was free to join if they were qualified," says Godrej. At the Rs 11,086-crore Lupin, siblings Vinita and Nilesh Gupta are now in charge of the business. The Chairman and Founder Desh Bandhu Gupta, in a well-planned succession, had handed over the company's rein to them last September. While Vinita, a pharmacy graduate from Mumbai University and an MBA from Kellogg Graduate School of Management, as the CEO, focuses on the company's business in the US, Europe and Japan, Nilesh as Managing Director, is more involved in research and manufacturing. An extrovert, Vinita gives the marketing edge to Lupin. "We work complementarily? It's great for a company to have two leaders instead of one as it gives that much bandwidth for people to perform," says Nilesh. Before taking over the lead roles, the siblings had learned the ropes by working closely with their father and Kamal K. Sharma, Vice Chairman. However, for many like 27-year-old Tara Singh Vachani, it was not just about succession. Daughter of Max India Founder Analjit Singh, she proved her merit by adding a new dimension to the existing business. When she was 23, Vachani came up with a business idea for the health care and insurance major that focused on addressing the needs of the 60 and above age group. 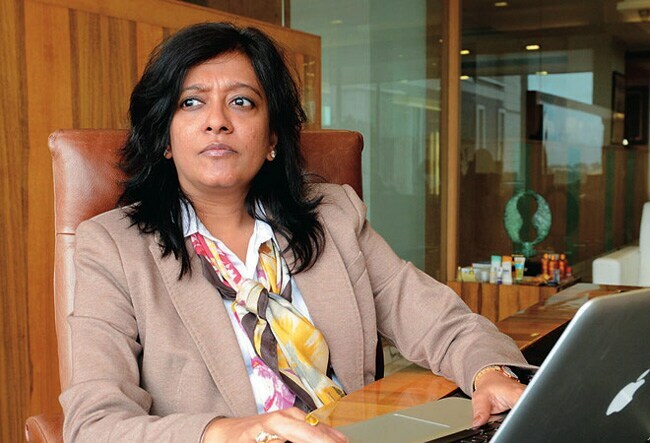 She set up a new company called Antara Senior Living where she is now the CEO. Antara is building a Rs 500-crore residential project for people above 60 in Dehradun and is expected to be ready by the first quarter of 2016. "I wasn't sort of planted into an existing business. I had to build one. I had to carve out my territory and my own charter," she says. Vachani says the returns from her business will add to Max's equity in the next three to five years. "We are capital intensive but this is not a long-gestation recovery business," she says. For Vachani, it is her sensitivity, ability to multi-task and a strong emotional quotient that has helped her scale new heights. "I sometimes wonder if it has to do with my gender or with my exposure, my upbringing, my parents and my value system," she says. Vachani sees the increasing role played by daughters in family-run businesses as a major change. "The landscape is changing but I don't think it is changing fast enough." 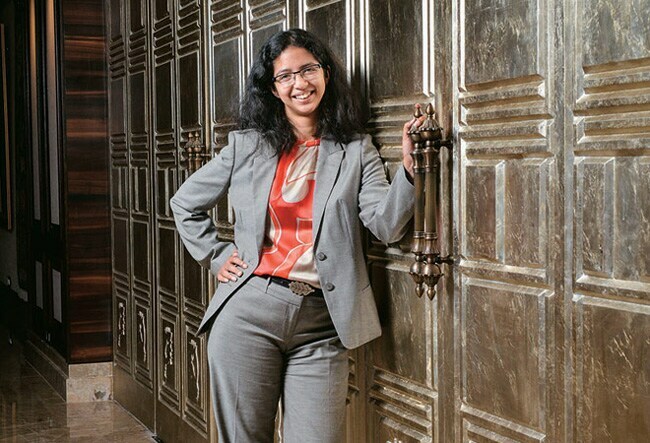 Stickler for quality: Nandini Piramal, Executive Director, Piramal Enterprises ROLE: Heads HR, divison involved with OTC drugs and operational excellence. Year of joining: 2006. Photo: Danesh Jassawala. What business values do daughters bring to family businesses? "I think women bring strengths to the table that I sometimes feel men also have but don't necessarily use it in the same way as women do. Also, with equal educational opportunities for both daughters and sons, there is definitely a thought about utilising the core strengths that daughters bring. That's a reason why the landscape is changing," says Vachani. Beyond her core business, Vachani also plays a key role in the group's decisions. She is a member of the group's CEO council that includes the leadership teams of all businesses and meets four to five times a year. "We get to share our thoughts. It's a collaborative approach when it comes to the macro-level journey of businesses," she says. Much like health-care brands like Max, the challenges of business leaders in the pharma industry are no less. Any drug maker that exports to the US faces the worst nightmare of being pulled up by the US Food and Drug Administration (USFDA). The recent developments at Ranbaxy is a case in point. This implies that the focus on manufacturing processes and quality is critical and so are the people leading those functional positions. At the Piramal Enterprises that has market capitalisation of Rs 11,606-crore (as on August 6), the person who leads 'operational excellence' is 31-year-old Nandini Piramal. Daughter of Ajay and Dr Swati Piramal, she is touchy about every detail. "You cannot let a product out unless it meets our quality expectations," she says. According to her, it is all about setting a culture in place that respects quality. To ensure this, Nandini had put in place a system of surprise audits. These audits have become more stringent since last year after the USFDA raised the bar. There are good reasons why her parents made her join the family business as a general manager of the operational excellence department in 2006. Her mother, Swati, had a keen eye on her even before she worked at McKinsey after her degree from Oxford University and MBA from Stanford Graduate School of Business. "Even as a child she loved walking around plants (manufacturing plants). She would often point out areas that needed improvements," says Swati. Today, Nandini keeps a watchful eye on 11 such plants, of which six make USFDA-approved drugs. She also leads the HR vertical that takes cares of the 7,000-odd employees. She also strategises the Over-The-Counter business; one of them is children's brand 'Jungle Magic' under which the company makes essential oils and mosquito-repellent wristbands. In sync with the times: Priti Sureka, Director, Emami Ltd ROLE: Only woman on the board; member of strategic think-tank; heads marketing, R&D and innovation divisions Year of joining: 1996. Photo: Subir Halder. For Swati, her children are bringing in different strengths to business. Her son Anand Piramal, Executive Director, loves design and architecture and is focusing on Piramal Realty. She is proud that Nandini was chosen as one of the Young Global Leaders by the World Economic Forum. "She is one among the 100 from around the world. Ajay was also one of them but he was 40 by then. Nandini is only 31," says Swati. Much like Nandini but much before her, Priti Sureka as a kid had accompanied her father R.S. Agarwal, Co-Founder and Joint Chairman of the Rs 7,000-crore Emami Group, to watch him work. Agarwal says he could see Priti's keenness in business even when she was in school. "I was interested in business since childhood. I used to be along with my father and watch him closely even when I was in Class IV. Luckily my dad too was keen to have me in business," says 41-year-old Sureka. The only woman on the 16-member board of the Rs 1,800-crore flagship company Emami Ltd, she sees her strengths being leveraged under the guidance of her father and with support from kin involved in the business. "Creating products excited me and so I focused on advertising and brand building," she says. She is also involved in strategy, R&D and innovation. On the role played by daughters in business families, she says, "It's not that they did not have capabilities earlier. It's just about more acceptance and a little more boldness, an indication of the social changes all around."